Were you ever involved in door to door outreach? I know for a lot of us that happened to grow up in the church during the 80’s and 90’s, it was customary to go knock on doors to get the bible thumpin’ notch on your good person church belt. And if you weren’t involved in the church during that time, you probably remember at least having your door knocked and hiding as quietly as possible so they would feel compelled to finally stop knocking. Unfortunately, that particular method was not that effective, and even though many did it with sincerity, they probably weren’t successful in building bridges with the people they were hoping to reach. We as the church can no longer rely on methods or mere trends to draw the numbers; we must rely on the power of the Gospel, the transformation of the Holy Spirit’s work, and to join our King Jesus on mission. There are often barriers between those who are being pursued and the party pursuing. And it is critical that find those barriers and pray for breakthroughs in the power of the Holy Spirit. There are so many methods and systems that really do work in penetrating a people group and/or person with the message of Jesus Christ in ways they can understand, but we are not here to talk on method, but on principle of how we can be on mission together, both with God and with each other. And if you notice, there is an organic nature to this understanding of image, worship community and mission. You see, we must be an image-bearing community of worshipers on mission! As leaders, do we notice if we are being ambassadors of reconciliation in our local city community? 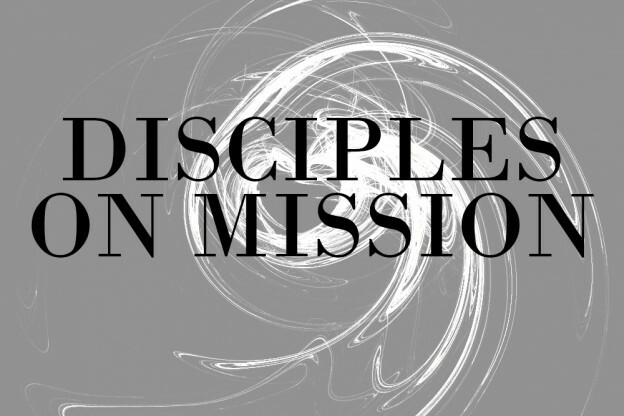 How do all aspects of a disciple work together? Take about 15 minutes to study. Pick one passage below and give insights relating to mission. This discipline will be multifaceted; it will include scripture reading, prayer and solitude. Go to a high place in your city, or a location that you can be in a quiet space yet see a lot of buildings far-off that represent your city. After praying, wait, stay silent for at least 15 minutes, and rest in His presence. What does this passage teach you? How does this passage display a Trinitarian theology? How does this passage reveal Jesus’ heart for His church? Choose a location in your city that you know well, this can be bar, game center, recreation center, gym etc. Get to know people, build relationship, and bring someone along that loves Jesus so you can make this place your new mission field. Take mental note of trends, laughter and influential people, and find ways to image God to this new mission field.